I visited Gettysburg with Troop 424 (Savage, MD) on November 20, 2010 for the annual Luminaria and Remembrance Day Parade. We primarily toured the Culp's Hill area, before heading to the other events. I wanted to commemorate our trip with a new cache in the park. 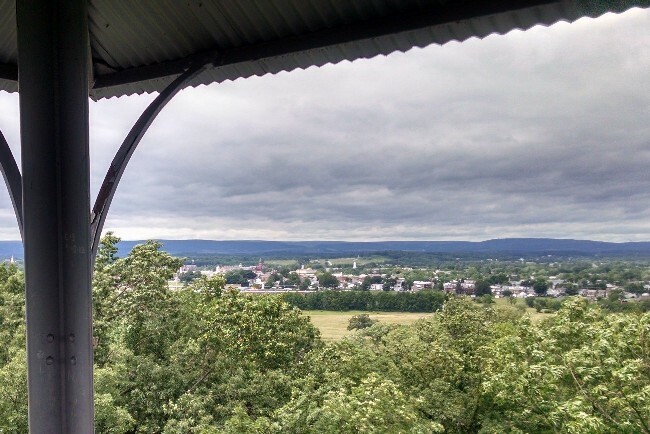 This is one of three obsvervation towers at Gettysburg National Military Park, which offer panoramic views of the battlefield. Please view the National Park Service website for hours and other regulations and for the official map and guide. 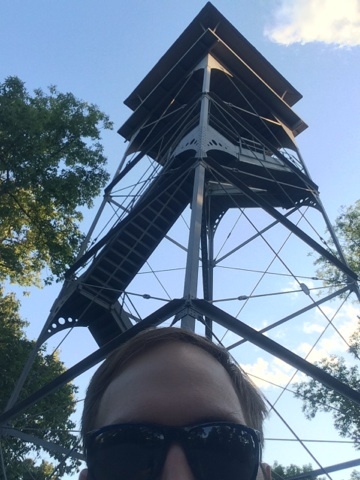 You will need to climb to the top of the tower to claim this cache. Once at the top, you will need to locate the metal plate that shows distances to various nearby sites. Limited parking is available near the tower. 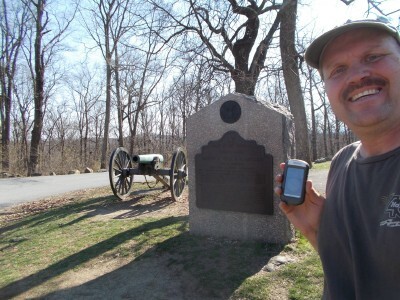 I hope to add more Gettysburg OCUS caches, soon. LOG PASSWORD is the name located between "NATIONAL CEMETERY" and "CHAMBERSBURG PIKE" on the referenced disk. Password is ALL CAPS and does not include the distance or any numbers, punctuation or spaces. Additionally, post a photo of your and/or your GPS (if you're shy or alone) with the view of your choice. During the Battle of Gettysburg, July 1–3, 1863, Culp's Hill was a critical part of the Union army defensive line, the right flank, or "barbed" portion of what is described as the "fish-hook" line. Holding the hill was by itself unimportant because its heavily wooded sides made it unsuitable for artillery placement, but its loss would have been catastrophic to the Union army. 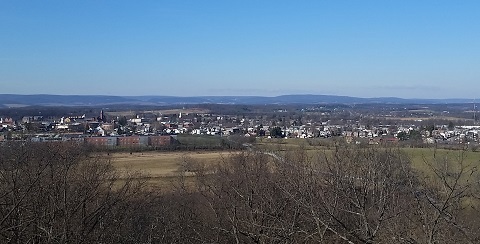 It dominated Cemetery Hill and the Baltimore Pike, the latter being critical for keeping the Union army supplied and for blocking any Confederate advance on Baltimore or Washington, D.C. Thanks, Dave! Nice views! Many steps! Took a nice tour of Gettysburg and the battlefield today. I was spending the week in Emmitsburg, MD for a class and decided to take a Gettysburg side trip to soak in some history. This was one of eleven stops I made after class was over, consisting of 2 OCs and 9 TCs. Thankfully these sites still allow virtuals so cachers can be exposed to these sites they may otherwise overlook. This was my final stop of the day, as I had to make my way back to NOVA. These towers are great, and really let you take in the whole scene and imagine what was going on during the Civil War. Fascinating stuff. My preferred view was UP for this one. I spent most of the day in Gettysburg seeking mainly alternate caching site caches.My main goal was the Terracaching site as it was rich in caches up here. Stats: 2 in OCUS, 11 in Groundspeak (mostly virtual and earthcaches) and 16 Terracaches, 1 being a locationaless cache.